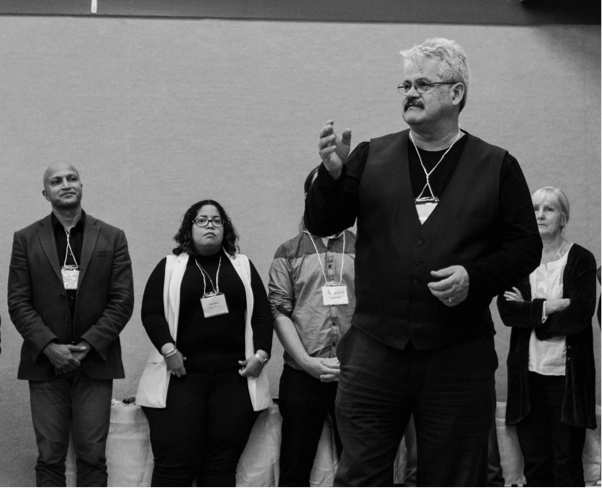 Hosted by Wedlidi Speck this workshop offers participants a frame of reference for their intercultural work grounded in indigenous knowledge. Please pay your fees before the June 19 deadline to avoid disappointment. When paying your fee, please tell us if you are member, student or non member. Wedlidi works with a model of cultural training he calls Indigenous Cultural Knowing. This model has as its foundation the learning strategies cultural awareness, cultural sensitivity, cultural competence (agility) and cultural safety. He describes agility as a toolkit filled with strategies that help individuals and groups respond to the complexity of working with culturally diverse groups with diverse needs. The offering to SIETAR will be a gentle walk through the learning strategies with an eye on the toolkit and cultural considerations and tips. The take away for participants will be a cultural framework, cross cultural considerations and some helpful cultural hints on how to build culturally safe communities and strategies to share space. Wedlidi Speck is a registered Band member with the Namgis First Nation of Alert Bay. His cultural connection to the Namgis is through his mother & the Gigalgam clan. Culturally, Wedlidi is the hereditary Head chief of the Gixsam Clan of the Kwagu? tribe and has ancestral roots to his father’s side & T?awitsis Tribe. Wedlidi is committed to helping the Aboriginal and non-Aboriginal community build inclusive, safe and collaborative communities. His work focuses on bridge-building and co-designing shared space. He applies this vision to his work, friendships, family and community life. Wedlidi is currently the Director of Aboriginal Organizational Development for the BC Ministry of Children and Family Development. He is a cultural historian, storyteller, visual artist, lives in the Comox Valley, is married with four children and four grandchildren.